Each year NMYO publishes its annual Program Book and we invite you to join us as a Business Sponsor by placing an advertisement. 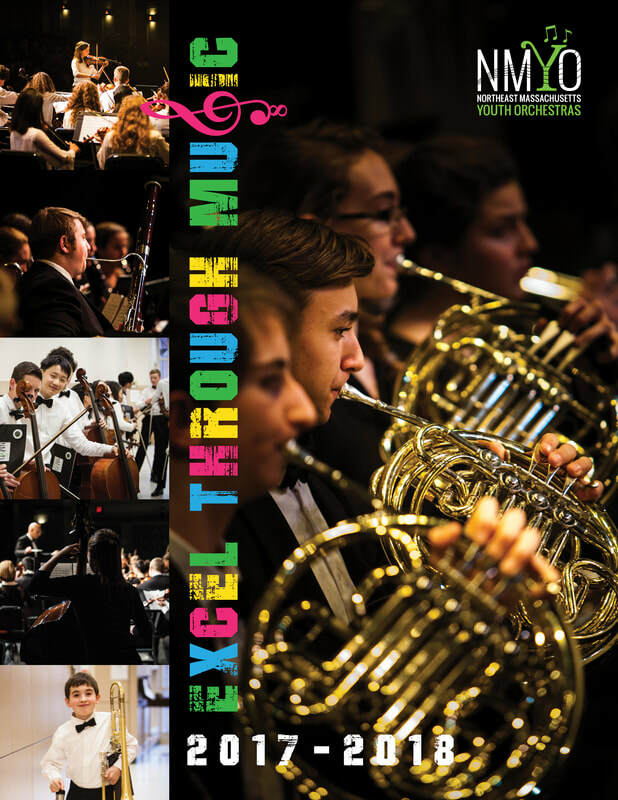 Distributed free of charge at all NMYO concerts and events, the book reaches more than 3,000 audience members and is also a highly-used resource for our NMYO musicians and families who hail from 40 cities and towns on the Massachusetts north shore, Cape Ann, Merrimack Valley, and southern New Hampshire. By placing an advertisement, you are not only being exposed to a wide audience of concert goers; you are also showing that you support the cultivation of music in our young community members. October 15, 2018. Act now to reserve your space in our 2018-2019 program book by completing the pdf form and returning it with a check payable to NMYO. In addition to your premium quality ad on coated paper, you will be listed as a NMYO business sponsor on the NMYO website.